Looking for Disney Channel Auditions in 2019? While this article has been up for sometime now, it seems that some of what I discuss below is still going strong. Disney Channel and Disney movies are a popular audition topic. Kids love their Disney shows and many will look online for Disney auditions. However, there are many shady companies that will take advantage and talk people into spending money they should not. Actual Disney casting directors DO NOT charge upfront fees. Disney does not advertise auditions on the radio or walk around malls and grocery stores looking for kids. Disney Channel is not in the business of selling classes, photos or convention services. If you are asked for money, it is most likely a scam. If it sounds too good to be true, it most likely is not true. The best way to get an audition for the Disney Channel or a Disney movie is by working hard and getting a legitimate agent. Most auditions for Disney are not open calls. They are handled through agents. Why? you may ask. The answer is simple. There are millions of kids, most of whom have at some point dreamed of being a Disney Channel star. If every character for a Disney show was cast through an audition that was open to the public, the casting directors would be bombarded with thousands, 10’s of thousands of kids and teens all looking for their big break. Most casting directors don’t have a way to handle 1000’s of kids in one day. The cost would be enormous and it would take weeks to get through that many people. … most of which probably don’t even fit the part. For that reason, casting directors depend on agents to send them talent that fits the role, has the experience, training and the talent. So, for most Disney, or even Nickelodeon roles, you will need an agent….. a legitimate agent. Legit agents do NOT charge talent, they pay them. An agent gets a percentage of the talent’s pay… once they have booked the role. So, a talent agent makes zero if the talent they have never gets a role. For that reason, agents are very selective in who the represent and usually talent must first prove that they are capable of doing the job. That is where the working hard part comes in. Most agents expect that talent comes to them with a resume. Getting things for your resume, for a kid, may not be as hard as you think. They will be looking for some experience and maybe some training. They need to know you can handle the pressure and do the job. So where can someone get experience? All over. It could be the Christmas show at your church, school plays, community theaters, commercials for local businesses, student films and more. Now, you would not be getting paid for any of those but you will be learning and gaining valuable experience that you can list on a resume. Training is also helpful. Most community colleges and schools offer low cost classes. Those classes will also help you learn the ropes and maybe even make some great contacts. Since I am talking about classes…. beware of the scammers there as well. Fake agents know that we all know that agents should not be paid up front, therefore they go the route of… I will work with you… only if you pay $XXXX for these classes. The classes they offer are sub-par and may even hurt your resume as every talent agent knows who those people are. Before taking classes do your research. Make sure the person teaching is respected in their field. Classes usually cost a few hundred bucks per class, not thousands. Once you get all that, then an agent may take a chance on you. You may be naturally talented, but it doesn’t matter, you still need the training and experience. Talent is just one of the things you need, the others are commitment and passion for the art. Doing free gigs to build a resume goes a long way to proving that you ARE committed. Now, many families, kids and teens believe there is some magical shortcut. Many have been led to believe that if they pay someone some money it will fast track them to Disney fame. People have come to believe that because there are countless FAKE agencies that are trying to convince them of that. These fakes approach people in malls, invite them to auditions which are nothing more than sales pitches and convince them that for 1000’s of dollars they will make their kid a star…. really? If it was just that easy, every other kid in America would be on Disney Channel. See How to Spot a Modeling / Acting Scam for more on what to watch out for. Always remember that this is a job, an acting job, but a job none the less, which means THEY pay you for your work…. You do not pay them! In California it is not legal for an agent to ask talent for money to get the job so anyone doing that is not a REAL agent. If you are unsure if one is legit, ask for the license and check with the Union SAG / AFTRA to see if they are franchised. Always remember that an agents job is getting THEIR talent booked which means they spend all day talking to production companies and casting directors about the talent they represent. Legit agents do not troll the malls and walmarts looking for “new faces”. Why would they? There are more kids than roles. Anyone approaching you anywhere about getting your kid into Disney Channel is not on the level. OK, so until you get an agent…. how else can you try out for Disney? Once a year, the Disney Channel and Disney XD hold an open casting call. They have done this for over a decade and most have been at certain locations. This year, the Disney open auditions where actually held online and kids in every state could tryout without leaving their homes. The Disney open auditions are usually held in early summer and announce between May and July. See this years for more info on what to expect… Disney Channel & Disney XD Online Open Casting Call. Also, every now and then Disney does a talent search to fill a role in an upcoming movie or commercial. Those happen a few times a year and no one can tell you when it will happen next. You just have to keep your eyes open. Such events DO NOT advertise. They will not appear on the radio. Those are listed through the casting directors. Be sure to also read this page about those Disney auditions that you hear on the radio. Hope all that helps and break a leg! Hi my name is India Eason, I’m 15yrs old and if you are looking for a young teenager who is smart, beautiful, respectful, likes to work hard with a great personality then pick me! I’m 5ft 7in. I would love to be a actor for Disney,, thank you! Hi I am 12 year old Shakira Jordan and I’m a singer that lives in Columbus, OH. I love to sing. I can’t really sing but I do dub smashes most of the time! I am an African American with dusty-brown hair and dark brown eyes. I’m 10 years old and my name is Michelle onyeka. I’m African with great English. I sing, act and do ballet. I have black hair and dark brown eyes. I used to play roblox with the name galaxylife104. I am a friend like you. Do you play roblox and is you name younge_lyric? Do you play roblox with the name younge_lyric. I do sorta with the old name galaxylife104. Hello, my name is Rebecca, I live in Vista CA, and I am 11 years old. I have been dancing since I was two years old and I dance competitively. I also have been singing since I was 6 years old, play piano and guitar. I have blond hair, blue eyes white skin and can speak French, English and Spanish. I have also been in 8 plays all starting as the main character. Every one at school says they know for a fact that I will be in a movie or TV show one day, and I hope they are right, this is my passion and why I love to do and I am hoping you guys will get back to me and at least give me a chance. I love Disney and I’m just wishing I get to be apart of that Disney experience. I am 11 years old and love Disney. I have black hair with strips of brown with brown eyes and watch show when I can and I live in vista California and love to play game go to school and hang out. Love singing and music 2 year dancing experience. I love challenges,and love to write and so much more. Thank your for reading. I always wanted to become a disney star. I fell in love with disney when I was 6. My name is Laniya Pennington. I am 12 years old and I live in Detroit MI. I want to audition for tv shows like for example jessie, Alexa & Katie, liv and Maddie. I’ve basically been trying to find somewhere and someone to audition for. Hello, my name is Joel(13) I love to act and I am a people person. I am from Bedford, England and I am very funny. People in my school even say I should be a actor. Hello I am Sachin Rathore from INDIA. If you have any work in Delhi, India, please give me. Hi I would really love to act on Disney channel. I have been watching it since I was 6 years old. I really love it. I always enjoyed seeing the actors and actresses on there and always hoping I could become one of them. I really hope someday I will be one of them. The shows they put on Disney channel are the best. I hope one day I could become one of those actresses but for now I will just live my normal life. Hi there I’m chase Johnson. I’m 9 year old and I love acting. I’m from Texas. I love Disney and I would love to be on it. I’m always available and I’m on time and I’m nice and outgoing. I’m 4ft tall with brown hair, brown eyes and I’m 80lbs. I’m going to Disney world for spring break in March. I am 12 years old and I started on this app called [redacted], its 100% free and you can self-tape yourself and submit it to casting director, Managers, and Agents can see you and even cast you in shows and/or movies. It’s an amazing app for beginners, it has helped a lot of people. One of my friends started it and he has already gotten a Manager and an Agent from that app. Again its 100% free for any ages. I think you guys should try. If you want you can email me for more information don’t worry I can promise you i’m not a stalker or anything. Thanks so much!! I’ve been trying to find and app or website for online casting calls for soooo long, but they’re all websites you have to pay for to use. This is the best advice I’ve received in a long time! Again, thank you so much! Hi, My Name is James and I am almost 5 years old and am currently working with an agent… I love anything Disney and would love to be on movies, shows, commercials, promo events. I am going on a Disney cruise soon to meet the characters and have fun with them. I love to entertain and help people. Please contact my Mom to tell us what we need to do to start working with you. Hi my name is Camden Moore. I am 12, biracial, with brown hazel eyes with black hair. I live in Birmingham Alabama. The reason I would love to act on Disney channel is because all my life all I wanted to do was act, sing, and entertain. But I never got the chance to and because my father is not around right now and my mom has to do everything with two kids and her mom and I just want to do anything I can to help her. Make sure she is proud of me. Since my dad is not around right now as the oldest, I think I should take my responsibility to make sure my family is not lacking what they need and acting might just do the trick and maybe I can even buy a bigger house for my family. Hello. My name is Peach Tsang. I am an 11 year old girl and I am very smart, and very talented. I have a youtube channel called Powerful Peach. I do Martial Arts at Hunzingers Karate school in Blakley. I do Ballet and Jazz at Arditos dance school. I am almost a black belt in karate as well. I am very good at memorizing things. In my school I have done Drama Club for 3 years. I am not very good at Gymnastics. I know a few moves though. Though I don’t know Gymnastics that well, I can learn very fast. For example I learned my lines for a play in and hour or less. I only had two lines, but I’m still proud of my self. I love Miraculous Ladybug, and Power Rangers. I think I would make an excellent actor for Disney Channel. It is my dream to act. I am smart, brave, daring, helpful, kind, caring, joyful, not a bully. I hope you choose me. My height is a little over 5 feet. My real name is Elizabeth, but if I do get the acting job you can call me Peach its my nickname. I am not very famous yet, But with your help I hope we can achieve it. please respond to me by February 6 2019. Thank you for your time. living : The United States of America, Delaware. The reason I would love to act on the Disney channel is because all my life I wanted to act, sing, and entertain but I never got the chance to. Now I think I can and because my father is not with us right now and I want to do anything I can to help my mother and brother. Hopefully make Enough money to buy a bigger house and make sure my mom is proud of me because as my father is gone as the oldest I should take care of my family this is my story. Hi my name is Zashonai, my last name is Solis. I’m 13 years old and it’s always been my dream to act on Disney. I’m in Drama and I act in school. I talk a lot and I’m not shy at all once I start talking I can’t ever stop but I’m not annoying, it may be confusing but you’ll understand. I’m very energetic and I get a long with everyone I meet I’m a very happy person I always focus on the future my Dream Job is to be and Actress on Disney I’m a very goofy person I’m not serious I’m only serious when I listen to what I have to do I want a Job where I can Have Fun And Laugh So I would Like to become and Actress I know I may not be as good as the other people trying to be an Actor but when it comes to my Dreams I’ll never stop fighting no matter what I’ll try to accomplish my Goals and Dreams and to become an Actress is a Goal I would like to accomplish very much please get back to me A.S.A.P. Thank You For Your Time! I’m a nice person and I always try to get along with my enemies I want the world to be Positive. My name is Abigail and I have been watching Disney channel since I was little. I always loved it’s show. I can sing, I dance a little, I have a little experience from school plays and I am also very funny and always happy. I talk to every one, I hope that you give me a chance because I would love it. Hello my name is Laney. I am 11 years old and I really want to act and/or sing in a Disney show or movie. I’ve been in a few plays before and they went well. I am 5 ft 4. I have blond hair just below my shoulders, light skin and green eyes. I would love to be in a show or movie and I would appreciate if someone got back to me. Being a Disney star is just anybody’s dream. Hi my name is Kaylee! I always loved Disney channel and wanted to act in tons of the shows. It is my life dream to be an actress! Personality: Happy, very, very energetic , love to sing, love acting, talk a lot! I have also participated in many school plays as some of the main parts. I’m 12 years old . I want to be in a Disney movie or show. I’ve been in front of an audience when i was 11 years old at my school’s family fun day singing uptown funk. Unna: I’m light skinned black, I have black hair which is up to my shoulders and chocolate brown eyes. Hello my name is Olivia and i’m 11 years old. I have a good amount of experience for being a child. Hair/eye color: Brown hair Blue and green eyes. Experience: Tap dancing, Ballet, Jungle Book Jr-Ensemble Winnie The Pooh- Kanga, School house rock – Ensemble, The Enchanted Bookshop-Mom. I have done lots of acting and singing and dancing but I want to get into film and more on stage plays. Hi my name is Madison Kosenesky. I am 12 years old in the seventh grade. I have dirty blonde hair and blue eyes. I am Czechoslovakian, polish,Jewish,and many more. I live in Countryside, Illinois. I would really like to try out for a Disney Channel role because ever since I was born my family has been going to Disney world. Everything about my family and I is Disney,that is what we mostly talk about,and outside my house has Disney stuff. 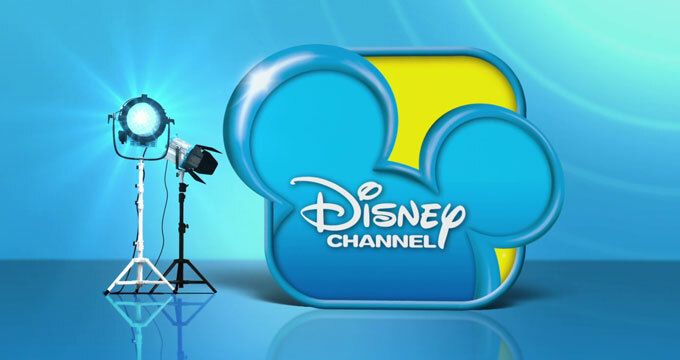 I love watching Disney Channel and always had a dream of being a character or on of the main characters on a Disney show. I am creative,smart and very quirky and I guess you could say a little awkward sometimes. I am a 1st degree black belt in Tae Kwon Do and a Wrestler for my middle school. I have tried out at one of my school’s plays of Shrek.I tried out for The Dragon,but didn’t make the cut. I Love to try new things and I love to write. I have two siblings a younger brother and a younger sister,which makes me the older one. I love fantasy and mystery. Please contact me at anytime if there may be a role where you think that I may suit.Thank you so much for reading my long rplay. I would love to act I have tried it but only once and it was really fun. To me acting is more than becoming famous but its the fact that I can do what I love and be recognized for it. I’m am 14. I have black hair and I’m from Jamaica. Hi!My name is Miantsa and I’m from Madagascar. My dream is to be on Disney Channel. I am 10 years old and I have brown eyes and black hair. I’m very happy to be a new actress, maybe on Disney channel. I have always wanted to be on Disney Channel. Hi my name is Angelina Lopez. I am 12 years old. I have brown hair and dark brown eyes. I am Hispanic and Puerto Rican. I would love to have a chance to audition for a Disney Channel tv show or movie. Hi! My name is Janelle Lee. I am around 5 feet and want to be in Disney channel. I love acting and singing. I did ballet for 6-7 years. I am 13 years old. I am a huge fan of disney’s descendants and liv and Maddie. I love Andi Mack and ant farm. I have black hair, dark brown eyes. I am Chinese. Hi my name is Anthony and I have always wanted to be in a Disney show! I am 5 foot 6 inches, Red Hair, Male, 13 years old. I have a bubbly quiet personality. I have done some church and school plays. Hello my name is Emma cryder and I have always dreamed of being a Disney channel star! I love watching Disney channel and all the shows and hoping I could be in one of them! Personality: I can act very well without getting stage fright. I will do whatever asked. I am creative and nice. I am about 5 feet tall. I weigh about 97 pounds. I can be stubborn when acting and can have an attitude if asked. I hope I can be in a show! I have been in a lot of school plays and I can sing well. Hi my name Dalton ”Gage” Parnell. I would love to be on Disney channel. I love to sing, and play football. I live in Mobile, Alabama. I would like to be on next season’s bunk’ d, descendants 3. Hi my name is Monique. I am the grandmother of Saniah my beautiful and talented granddaughter, I am leaving this post in her name because it is 7:04 am in the morning on Wednesday the 10th so she is getting ready for school, but anyway she loves the Disney channel especially Raven’s Home, she likes other shows just to name a few… Bunk and Jessie. I feel she would add such a special addition to the Disney Channel! I can’t wait for you all to meet her. You all are in for a real treat! By the way how do I add a pic here? My name is Jamiyla. I am 10. I have been in the play Annie and in all of my school plays. I love to sing, am 5ft 2in, 115 pounds, black / brown hair. Boy that is English/ French. State/city is Atlanta Georgia. Please choose me. I love Disney channel and love to sing etc. Hey! My name is Mia, a little info on me: I’m 15 years old (female). I have brown hair, and brown eyes. I am 5 foot, and I weigh 100 pounds. I am a sophomore in high school. I love acting and it’s always been a dream of mine to act. I would be so honored to be casted for Disney Channel 🙂 I really hope you can get back to me. I am a very active person. I am a very funny person from what I am told, I’m honest and serious when it comes to anything serious. I am focused at all times and am a good, smart student especially in math. I’m good at sports and I’m a friendly person. I’m up to all challenges, any challenge, I’m good at a lot of things. I am patient and not good at several things like I am not wise, but I am manageable, SO PLEASE CONTACT ME. I REALLY DO LOOK FORWARD TO TAKE ANYTHING JUST TO WORK AT A FILM INDUSTRY. I CAN DO ANY SCHEDULE. My name is Aninoritse Mabuyaku Oghene Tega but my friends call me Tegs. I am 12, dark in completion, not to dark though. I love acting it makes me alive and vibrant. I would be so honored if I get a part on Disney. I really really really want to be a Disney star because many of my role model came from there and most of all because I think the creators and writers are really smart and creative. I want to be a star and be a top model for other kids. With out this, I don’t think that me heart ache will go so easily. I an sorry for the bad grammar my phone isn’t English so it auto corrects without knowing what I’m trying to say. Hi. I’m Lexer Ackumey. I’m thirteen years of age. I love to sing and I’ve got a very great voice, I’m sort of a good dancer, I’m good at sports, I’m funny sometimes when it comes to me. I want to become a Disney star or actress but the problem is I will not be available until July or August 2020 because my parents want me to finish sitting for my BECE. Before I’m brought to the US. I’ve always dreamed of becoming an actress. I’ve had experience with Next but money was an issue. I’m very smart, friendly, bold, and social. I am flexible and I aam great at gymnastics I have gotten up to a back walkover in gymnastics. I am helpful at home and school. I am the smartest in my class. I am the the 6th child out of 7. I hope you recommend me! I love Disney and I have always wanted to be an actor on Disney. I have also been in numerous plays of the little mermaid,the polar express, Alice in wonderland, and the wizard of oz. I also have taken 6 years of ballet, jazz, tap, lyrical, and acro. Hello my name is Aimee and I want to tell you that I have lots of experience. I got the main evil part, in a musical. I got a solo in my first grade play, I have been in lots of talent shows, I have recently been in a choir concert, I have been in church skits, I also got a solo in my third grade concert. I am really smart, kind, nice, I also can play the piano and violin , I also sing, and I am talent. I also listen very carefully to the directer, I also work well with people. I have wanted to be a good actor, that is why I have come to you guys. I’m Dominican and I’ve always dreamed of being an actress. I’m fluent in Spanish and I’m currently learning Italian. I’m very social, smart, bold and creative. I have had experience in soccer, ballet, and jazz. I attended a musical theatre academy. I took guitar lessons and voice lessons. I enjoy debating and do it competitively. I would love to act in the film industry. I grew up with disney and it’s my dream to have a acting career and play Disney shows and movies but I don’t have an agent. I have experience with acting , singing and dancing . Every body loves Disney for the great moves and commercials and every body dreams that some day they will be there watched by little kids laughing and enjoying them selves imagining them there and now living a life of a fairytale or in space wherever in the whole wide world and I’m just saying the feelings that I had and my little sister has when watching Disney . When my family sits down and watches Disney I feel like my family is getting closer and closer together and that’s the best thing about Disney you can laugh , you can cry , you can be like „ I’m to scared to watch “ but still you enjoy and smile in the end . I am from Montana and have always dreamed of being a actor. I’ve done a few plays and would be thrilled if I was able to act on a show. I have taken a few acting classes and I sing in my school talent show every year. I am funny and kind. I love to dance. Please email me if you have a job for me. Hi! My name is Kristina. I’m from Ellicott City, MD, USA. I’ve been taking theater classes for almost six years now and I have done many plays through Drama Kids (one for each year, I can’t remember all of the names). I’ll also be taking Theater II next year (9th grade), even though that’s usually reserved for 10th graders. I also participated in a few school musicals, such as The Jungle Book Jr., Charlie Brown, and Dr Seuss Jr., and then something about polar bears and global warming. I have also done many films and skits for my school, mostly for my French class and my History class. I haven’t yet been on screen or stage professionally because I haven’t been able to find anyone who would want my age, looks, and impressive height together. I’ve always wanted to be on Disney, and I believe that I have many contributing talents. I’ve been playing the flute for nearly 6 years. I’ve been learning French for 4 years, 3 years with an actual teacher (First year was with DuoLingo). I play volleyball, and I’ve played in a league for about a year. Everyone’s always told me how I should be a model (I’ve always thought it’s just because of my height). I’m not the best at singing, but mainly because whenever I try to sing to one of my favorite songs, I can’t sing as high as the female singers. I learn extremely quickly and eagerly and have a great memory, and I’m extremely willing to devote my time to the things I love! I forgot to mention that I speak in public a lot, mostly about issues that bother me, such as animal abuse and discrimination. Karynn Scruggs, 11 years old, blonde hair, blue eyes, 58 inches tall, and 94lbs. Dreams of becoming a singer, actor, and/or model. I’m from Indonesia but I really want to be a Disney star. But I’m too scared to tell my parents. Someday, I wish I could make my dreams come true. How much is it… Hi my name is Elysée and I am 13 years old. I live in Canada in Saint-Roch de L’Achigan. I make movies with my neighbors and my neighbors. I like the challenges very much and to be part of this organization will be a great honor for me. I see myself no longer playing in a show as agent KC or Jessy. Bref I speak 3 languages. I say I speak French quite well and English and a little Spanish. I like Disney a lot because it’s funny and it is for kids and I see myself well in this. In short it would be a great honor to be part of the Disney chain. Sorry I do not think you understand the end or it says (I measure 1m 70cm around) – That’s in English … I measure about 1 meter 70 cm. I like children a lot and I like to smile if there is something funny on TV. I’m something because I keep all of it and this would make me smile. Hi, my name is Estie Seroya. I’m a 10 year old girl. I live in Brooklyn, New York. I have brown eyes and brown hair and tan skin. I’m pretty and petite. I’d like to be on Disney Channel. It’s always been my dreams. The reason is I’m tried of watching and I like tv shows so I would rather act in it and I want to become famous. When I grew up I would always get made fun of. I’m 11 years old. I’ve acted in a school play once. I played as one of Santa’s kids. I have also spoken about black history month in front of a crowd . No I do not have stage fright. I just get nervous about messing up. I would like to mention that I am a great dancer. My name is Ta’Nessiya Mo’nai. I have been wanting to act on Disney Channel since I was a little kid. There is only one thing, I live all the way in Baconton Ga. I have never taken acting classes but I am great at acting. I can act like I’m frustrated, sad, angry, excited, and etc.. I am also hilarious!! I am also a JV cheerleader and have all A’s. I can’t get an agent,or a head shot, but I really want to act and my mom isn’t supportive…I need help please. My name is Alexandra but everyone calls me Alex. I’m 14 years old, I have dark blonde hair. I don’t have much experience with acting but I really want to be in descendants 3. I live in Toledo OH and I have loved Disney channel ever since I was young. I remember one time I went to my mom and said I want to be in that world and I know a lot has happened since then but I Would really love this opportunity to be on my favorite movie or favorite channel doing what I love. I have dark blonde hair and I am a girl. I weigh 122.2 My height is 5′ 3″. My name is Elizabeth Ramirez. I am 9 years old and I am about 4 feet. I want to start off my acting career. I can speak Spanish and I am Latina. Hi, my name is Bliss I’m female and I am 14 years old. I have not auditioned to be in a show before but I am hoping to be an actor. I love Disney channel and have been told by friends and family that I am a very good actor. And this is Veronica Ventura again. I am nice with black, white and Spanish but I don’t speck Spanish. Hi my name is Veronica Ventura. I really really want to act and sing and dance I am 13 year old. I live in Kenner, Louisiana. I think I could act good and have a chance. I have highlighted hair that I brown and blond and am about 4/11 or 5/1 for my height. Can you please let me act for any of the Disney shows or movies. I am struggling selling bottle just to be on Disney channel which which is my my dream. I am 12. I want to leave a legacy. I am funny, smart, want to go to Harvard, very good acting makes people laugh, cheers up people. Please give me a chance, believe it or not I will do everything in my power to be an actor on Disney channel shows. That is all, wish me luck because I will need it. Also I have talents of ballet, gymnastics, cheerleading and am very flexible. Hi my name is Chloe Lawless. I am 15 years old and I love to dance. I am a lyrical dancer. I have been interested in becoming an actress for quite some while now I would really love if you could pick me. Hello. I am a 12 year old girl, I am 5’2, with brown/orange hair, I’m a confident girl with a lots of humor. I am looking forward to starting my acting career. I know I can do it! I am Jayona and am almost 11 years old. Hair Dark brown, eyes brown/hazel, skin brown, very bright and I auditioned for liv and maddie when I was eight. I got the part but could not go to L A and now looking forward to a new experience. My name is Cynthia. I’ve been watching Disney Channel ever since very little. I don’t have any acting experience but watching movies, series has inspired me to be an actress. And it would incredibly amazing if I could be part of such and amazing channel. My name is Syraah Dosanjh. My hair color is hazel and my eye color is hazel green. I have light skin and have the height of 162.56 centimetres tall and weigh 120 pounds. I am 13 years old and am well skilled at the violin, piano and ukulele. I as we know how to dance lyrical, contemporary, jazz, acro and ballet. I am not to far from fluent in french and very skilled in math and science. Acting and modeling has always been my passion and i will fight to make my dream come true because I only live once. Hello…I am 13 years old and I am a female. I never had any experience with theater but I’m joining the drama club in my school. I like to sing and rap and dance but I can’t really dance to be honest but I got told I can rap and sing. I hope you could accept me. I will try my best of course and I always wanted to be an actor since I was 5 years old. I want to prove that anything is possible if u try and if you’re patient and if you never give up because that’s all it takes. My name is Danica Steele. I have beautiful blond hair. I have yellow green eyes. I am 4 foot 6 inches. I am very beautiful, but I am only 11. Please consider me. I can act dance and sing. I rather a show, than a movie. I’m Emma. I’m 11 years old. I’ve had a dream of acting for years. I’m in drama club at my school. Me and my sister used to make up skits, then we would preform to my parents and my grandparents. We had so much fun. It would be amazing being with Disney channel! I am 11 years old and my name is Olivia. I live in England and my reason for signing up to be a Disney channel star is to express my feelings and to be a role model. sher Dov Angel is a sweet smart kid and has the same qualities as me. Please give me a chance and I will show you what I have got! I am 11 years old I have brown hair and blue eyes. I am 4 foot 12 inches. I have never been in a commercial or TV show. I have never acted but I’ve wanted to make or be in movies for a while. If I get this all those dreams will come sooner than I thought. I am starting to learn Spanish. I do not know it well but I would love to be on the show. My name is Flora. I am 16 years old and I have had a rough child hood but have extremely good grades and would love to be on Disney. I want to become famous. it’s a dream of mine. Hi my name is Logan powner. I have been in the Disney film Alice through the looking glass, modeled for cantebury sports , and done the co-op christmas tv ad , i am a great actor and am can memorize lines quickly, am very talented in all sports,can horse ride, and am hard working. I am based in a small village in England UK and have 2 brothers and a sister, I would not let you down, if I have the chance to do work for you. Kind regards Logan powner, age 13yrs. I would love to audition. ~ Hey my name is Sybrina Powell. I am 15 years old and I’ve been acting my whole life. I’m very hard working and will strive to bring you my best. I am 5’4. I have short brown hair. I can sing a little I write music and do covers to songs. Acting is my whole life. I wouldn’t dream of doing anything other than acting and music. I’m extremely dramatic. I practice a lot at home to movie scripts. Hello my name is Isaiah Quiroz. I am a confident and a very sociable teenager from corona,California. I have green eyes, Black hair, Hispanic, 5 10. Growing up. I have always been known as the crazy fun nice and cute person at school and in my family. Through my life I have shown traits to my friends and family that I am a very and sometimes over confident person.i would sing songs, dance, and mimic other people. As I grew older I started to enjoy being the person that everybody recognizes and knows and I still live that. I’m a cute funny smart and confident boy with an amazing smile and want to use my blessings and traits as a person to make a future for myself. If you give me a chance to make my dream a reality, then I will be worth it. I really hope I can be on Disney as that is my dream job. My name is Alauna. I am 11 years old but I can pass as a teenager. My dream has been to be an actress all of my life. I am inexperienced, but after this website I hope to be experienced. I live in a very small town called Robertsdale, Alabama. Nobody has heard of it. The date is 10-9-17 so this post is outdated but I don’t care. I just want my career to push off. My name is Ezekiel, I am 7 years old 4 feet tall. I was born in Kissimmee fl. My mother is Cuban American and my father is Dominican American. I love to watch power rangers/ KC undercover/ Pokemon. I love to play outside and ride my bike. I love to make my friends laugh when I’m with them. I have always loved acting and I would love an opportunity to play in an acting roll. I love to make my family and friends laugh, I definitely have a great personality and put my all in anything I put my mind to. I am a 10 year old youtuber. I have over 600 views on YouTube have a lot of talent. I’m A kid trying to get into a show/movie. Hi , I am Aida Fuentes, and I am 12 years old. I am not that good at acting but with a little of help I can become better. I also dance and am extremely good at it. I am good at singing. I can act like a 11 year old to 13 year old. My hair color is brown, I am half Hispanic and half native american. My skin tone is light. I am about 5 feet and 1.2 inches. Also my dream is to be an actor on Disney Channel. Hi, my name is Allen. I am 10 years old. I have blonde hair, blue eyes. I weigh 55 pounds and I am 4 feet and 3 inches. I have always loved acting. I hope you take this under consideration. I’m 14 years old my name is Eliana Martinez. I really would like my acting career to kick off. I live in New York and it would be an honor to get the chance to make my dream come true. My name is Marki Stevens and I have light brown hair and dark eyes. I am 9 years old and live in Indiana. I’m 4 feet and 6 inches tall. I also wear glasses. I would very much like to act for Disney. I have never acted before but I like performing. I also like to sing. I am hardworking, loyal, and funny. My name is Lana ( Pronounced Law-na), I am 12 years of age though I can pass as an extremely short 13 or 14 year old. I am 4 feet, 11 inches tall, light brown hair with red undertones, gray/gray-blue eyes, fairly pale in skin tone. I am an aspiring actress I have acted in a few school plays, I can sing, play piano and flute, and am skilled in academics. I am not the most graceful person but I am a quick learner. I am not very well educated in dance but, again, I learn quickly and can memorize routines fairly quickly, with a little guidance of course. I don’t have very much experience in acting but have been told that I was a natural by many people. My dream has always been to work for Disney, and I am a perfectionist and an extremely hard worker. I want to audition for Disney channel because I always wanted to be on Disney channel. Race: I am African-American, Irish, Russian. Talents: I am known for my ballet, and my singing. Performing Arts Experience: I have 7 years of ballet experience, and 8 weeks of singing and acting experience. Hair color/style: I have dark brown hair with hot pink highlights. I have medium hair length and that’s it for hair. Skin: I have tan skin. Special Features: I have one freckle on my lip one on left wrist, and one on my upper arm. Dream: My dream is to become a lawyer (I love to argue and stand up for people) or a dectective (I love solving mysteries) and also be a singer and actress. That’s it for now I hope you liked my resume! I would really like to audition for a show on Disney Channel. It had not happened to me at all. I would really like to be on it. Hi my name is Damarius. I’m 15 years old. I am 6’0 and I am involved in sports. I play football, and basketball. At my old church I used to participate in the Acts they had. I honestly just wanna get involved and get a chance to make it and a chance to explore and know what its like to act on TV. I have read nearly all of them and then it comes to me I have wanted to act since I started watching Disney. That was like 7 years ago. My mom and dad are so happy that I’m growing up fast. 12 years old and coming to 13 in November. I was born in 2004 on November 17th. I just need to keep positive till the day I get noticed by actors and people who get people an acting career. To get noticed by casting directors you need to get involved and start acting in small productions. Most actors start with community or school theater, then keep moving up to bigger and better roles. Don’t wait to be noticed (that does not happen much), make yourself noticeable by practicing your craft in local productions until you have the experience and skills to move into larger ones. Hi I am a beautiful 11 year old girl that loves to act. I have been a model since 3 years old and an actor forever. I still am. Just want to do my best to the fullest. If not impressed, sorry and I always pray and put God first. HI I’m Jackie and I’m 15 years old. I will love to be in Disney channel, it’s always been my dream to be an actor on Disney channel and people always tell me I’m a very good actor. I believe that ha ha because I love to act and me and my sister always play like we’re part of Disney channel and all that and we always do acting things. Give me a call if you need anyone to play a part of something in Disney or anything, Instagram is “jackiealvarez13” and I could sing as well. I live in Stockton. My name is Valerie sloan. I would love to be on Disney channel. I have an amazing personality and just really want to put myself out there and succeed. Hi my name is William Sasscer and i am 12 years old. Now even though I love acting I can do much more than that. I can play the guitar, the saxophone, the trumpet, and the the drums. But the one thing that I like more then all of that is to sing. Now please I’m begging you this is the one and only thing that I want to do with my life other then a music career. Even background work anything would be fine just please give me a chance and you won’t forget it. Thank you for your time. Hi! My name is Frances. To start off, I am 14 years old, and like other people say, I LOVE to act. I have a heart for acting, and it just makes me feel alive. A few words to describe myself is that I am artsy, happy, teachable, and caring. I would also like to say that I am 5’3, I have black hair with a touch of light brown hair at the lower end to the tip, I am Korean-American, And I’m in eight grade(soon to be in high school). Now, you might think, I’m just commenting on this page saying I love to act like everyone else does, and to choose me…But ever since I started acting on stage for musicals or shows, I have just been SO into it, and to be honest, I sometimes imagine myself being in a movie or a Disney Channel show as a main character. I really want to show people that although I’m just a girl, I really can do things. My biggest goal is to make my family happy and be able to act in a movie or a Disney Channel show. And I love Disney Channel so much. And I have been looking for 2017 Disney Channel auditions online for 5 years. I’ve looked on a whole bunch pf websites trying to find a movie or show that I can get a part on….And For me, it’s not just about fame or being in the spotlight. To me, it’s about putting a smile on people as they watch movies or shows. I would really love it if you just gave me a chance to be on Disney Channel. Please give me this opportunity to show people who I truly am on the inside. This would be a life changing experience for me. My dream is being in HSM4. I am a ballet dancer with flexible abilities. I Want to be in this movie. If you see this, Thank you. I’m a 12 year old male with blue eyes, brown hair, 4, 11″. I have always wanted to be on Disney because it brought me so much joy watching it and I would love to give that back. I have also not done any TV or anything(besides YouTube) but am really easy to work with, work really hard, and most of all, I love performing for and entertaining people! Since I was little all I dreamed was about acting so I’m hoping you can make my dream come true. Hi I’m 13, 110 lbs, 5’6″, have experience singing, hazel eyes, short brown hair, martial artist , write my own songs, sport player, and I would love to act. I have experience acting and I can speak French. I am a gymnast, flexible athletic, have survival skills and would love to be on survivor. I live in New York. I am a 10 year old girl. That is full of life, ready to take on what life has a head of me. I get along well with others and love to sing and dance. I would love a chance to spread my wings and take off Like a butterfly. Hello my name is TAMIA GREEN. I am 11 year old and I want to de a Disney star. Hi my name is Nishela. Hi my name is Darius. I am 14 yrs old, I watch the Disney channel every morning before and after,I go and come home from school. Some day, I will be famous and why not be a Disney kid. I am UNITED STATES Figure Skating Champion, and I love to dance as well as becoming an actor. HT 5/8 Hair/black Eyes/Dark Brown Weight 120. I am NIRJARA, I am 13 yrs old and want to became a Disney star. Please kindly let me know if any auditions are there. My eyes are brown & my height is 5.2. I am a (chitoryo) martial arts champion and also champion of sports such as basketball & skating. I alo know how to sing. I love cooking and I am ten years old. I have done a bit of dancing and quite a lot of singing. I want to be on the Disney channel because people don’t believe in my dreams and I want to prove them wrong. I’ve done quite a bit of acting. I write my own plays and I do some improv at home. I can do a little bit of gymnastics and so if you’re interested email me. I am born at 8th november 2003. Omg I’m so sick of trying to find auditions, I just need experience for a resume for acting, so if there are any little auditions in Rochester NY looking for a 15 year old girl for just acting (no singing or dancing) that would be great. I want to be in Disney channel! I love acting and my name is Davionna. You receive a lot of auditions from me. I want to be just like the other kids out there. They want to become an actor or actress and that is a dream come true for me. The world has many things, but I want to do this acting job. My dream is to be famous so that is why I am doing this. My talent is: dance, acting, singing & gymnastics. Hey, Kristen, I’m 14 years old and I live in Williamsburg Ohio. I started acting at 13 years old. I know I don’t have a lot of experience but I love acting, I hope someone takes me into consideration for any part that you may have. I know I can get better with practice and I won’t give up thank you and I hope someone picks me. I would love if you give me a shot at being an actor! I would like to work on Disney Channel and I am 10 years old. My name is Bryan Osorio. Hi my name is Izzy I would love? love? love? to be a Disney star one day and I’m hoping that tou guys can make me one. Hi my name’s Evanne Johanna Casimir. I’m 15 yrs. old and I have always wanted to act. My hobbies include band, drama club, reading bowl, announcement team, and tennis. I feel like I’d be the best new young actress because not only am I good at showing emotion, I’m great at controlling my mood and emotion whenever the time is right. I’ve always aspired to be like the kids on tv and I’m looking forward to doing so. It would be a perfect opportunity. Also, I have been told I have a set of pipes on me so I can sing a little bit. Please message me as fast as you can, hopefully with good news. So, I LOVE DISNEY CHANNEL! I always wanted to be on Disney Channel. I love the show Bunk’d, Gamer’s Guide To Pretty Much Everything, Henry Danger and more. I am 11 years old. I want to be on a disney channel show because every weekend there is nothing for me to do except play on my phone. So I am sending this message to see if I can get into Disney Channel. I have straight A’s and no bad records. I have black hair and black or brown eyes. If you guys respond to this message, I will be very happy. I’m 12 years old. I’m in cheerleading and I love acting. It’s always been my dream to act. I love singing, I love meeting new people, people tell me I’m very photogenic, and I can adapted to new situations. Hi My name is Kandyce, I’m a singer and actress. Hi my name is Nia. I am 10 years old. I have never been in a movie, show, or took a acting class. I can act sad, angry, happy, dumb, or more. I am hoping to be excepted in because I really want to be an actor when I grow up. I would love to be on Disney Channel or Nickelodeon or Disney XD. I think I am to young to be on that but I still would want to be excepted. Some of the shows I would want to be on is The Lodge, Walk the prank, Thundermans, Henry Danger, The Loud House, and Spongebob Square pants. Those are the six shows I would want to be on. If I did get to be on one of those shows I would get to meet a famous person for the third time since I have meet Christian Taylor, and a football player that plays for the Green Bay Packers. So I hope I get in in the audition. Hi, my name is Estefania but I like to be called Stefani. Ever since I was 7 yrs old I wanted to come out in movies/or shows. I am now 13 and I am still willing to come out in Disney channel. I am not giving up on my dream very easily.I am planning to take acting classes for 4 yrs straight in high school. At this point I am still convincing my parents to take me to Burbank California to meet Judy… which is only 20 mins. away from where I live. I taught myself to tumble and I know a couple flips, but from this day forward I will train hard and perform as much as I could in front of a lot of people to show them that being an actor is my future job. Deep inside me I believe I could make it. I would want for people to notice me, clap for me, and scream for me. Not just that…… but the best part of it is that I enjoy doing it. Thanks for anyone that read my speech and hope you guys make it to the audition too. My name is Kelechi Ukeje. It has been a dream to act on Disney. Can’t wait for this audition, just hoping I make it. Hey my name is Alaijah Taylor. I was born January 9 2004 and I’m 12 and female from Cleveland Ohio. I been watching disney channel as long as I can remember. It have been my dream to finally be on Disney channel. The only person that inspires me to be on Disney channel is Zendaya. I love to see her on shake it up and now kc undercover. I’m a goofy, silly and so happy and I love to smile. But when it comes to what I have to do that’s important to me, I take it seriously. I love to be on stage and/ or set and do what I love so much. I also love dancing , modeling and acting. I love you Disney, please send me a message. Hi my name is Cayden. I’m a boy, age 11 and I live in Wilmore Kentucky. please, I am a huge fan. I am Shemaiah. I am 10 years old and I have loved acting for as long as I have been alive. I even have a Broadway book and I look at everything on Disney channel. Please let me be on Disney channel. I also do acting and dance. I’m 15 years old. I love cheerleading. Height 5’2, Weight 140 . I would love to be acting at Disney. Hi. I am Suzan Koch. I am 10 years old. I am from New York, New York. I love to sing, dance, act, and model. I am recently doing theatre in Lindenhurst, New York. I have light brown hair and hazel eyes. I am mixed Asian and white. I have white skin. I am 4 feet and 6 inches tall. Looking forward to hear from you Disney Channel. Thank you. one of my dreams is to become a actress. I am 10 years old sometimes, I make plays and then act it out for my friends, families, and class. I love to sing. This year and last year I was in choir. My name is Sienna. I am 11, but can pass from 10-13. Blonde hair, blue eyes, Caucasian Female. I love to act. It is my true passion. I play soccer and take classes at Junior Theatre Camp. I sometimes crew their plays. I would love to actually get on stage to perform. I have a great singing voice and can dance some. If you would please consider me, I would be grateful for the opportunity. Hi my name is krishi babbar and I am 13 years old. I have been getting inspired by some actors like James Bond, Dwayne Johnson and Sylvester Stallone. I love action movies and also would like to be in comedy films. Also kid shows to. I love acting. My dream is to be a famous actor. I can sing amd I am very dramatic. Disney and cartoon network is my best two shows and nickolden. I do not want to be a bragger but please let me be an actor and I am only 11 years old. I would love to be in disney. When I think about disney it makes me feel like I wish that I want to be an actor. I am 11 years old and I can sing. I’m 12 but I can pull off like I am 14 or 15. Brown Hair, Hazel Brown Eyes. I enjoy giving back to the community. I am 7 years old. I love to read, write, and act. I can send my Bio by request. I’m really interested in being on a Disney channel movie, commercials or anything as long as I’m apart of Disney channel. I will be happy if it happens. I am 12 years old, tall and African American. and I love singing, reading, modeling,and acting. My hair color is black. I am only 12 years old. I have tan/light brown skin. Acting has been my life long dream. Please give me a chance! I’m 12 years old and I love to play soccer. I’m not the best, I’m not the worst. This has always been my dream and I want to be a well known actress and with help hopefully I can. I am a 13 year old girl that wants to change the world. I have blue eyes and dirty blonde hair. I can sing and act can you guys give me a chance. Hey my name is Berling I am 12 years old and my height is of 110. I like To sing the music of Dove Cameron. I am Bailey. I am a girl and I am 5’0. I love Disney Channel! I have Brown hair, I am 12 almost 13, green eyes and I have been a dancer for 9 years. I love to sing and I am really silly and funny. I love to act and I hope that I can get to act on Disney channel because I watch it every night. I have wanted to act on Disney Channel tv shows for a few years now. I am am 11 year old girl but I can pass on a range of 10-13, I have dark blonde hair, and I am American. My height is 4’10, I have blue-green eyes, and a couple freckles. Skills: Soccer, Basketball, Lacrosse, Acting, Ballet, Modern, Acrobatics, Singing (sort of), and I can learn to do what people throw at me! I am very confident, and my friends always say that I am beautiful, nice, has a good voice, and they have told me I have what it takes! Thank you for the opportunity! Am Divine prince. I love acting, singing and dance, also telling jokes sometime. I imitate my family members which makes them laugh. I am 14, I have been acting and singing since I was 3. Now I want to make my dreams come true and show my talent to the world. If I could get a chance to be on Disney or Nickelodeon I would work hard and be funny if needed. I would do my best, contact me, I promise I won’t let anyone down. Hi, my name is Courtney. I am a 13 year old female. I am a very talented young lady. I play softball, gymnastics, and I also play volleyball. I love to act. I’m in my school choir, I am an acting freak. I have an awesome voice, good acting skills, and good at being on camera. I have always wanted to be on disney channel since I was younger. When A. N. T Farm came out, me and my friend auditioned for it. Thanks! I am an amazing actor and I love disney and nickelodeon. I would like to get a chance in acting. I have a BEAUTIFUL, SMART, INTELLIGENT daughter who is awesome in acting singing and comedy. She LOVES Disney and acting, she made me promise to get her in the studio and on TV because she really wants to do it. She’s very passionate about her career and singing, just being at her best. So please give me insights on how to get her there. I am 13 years old. I have dark brown eyes as well as my hair. I am 5 foot 3. I want to be an actor an I figured that this is the best way to start off my carrer. I love to act and make people laugh and I can do many different voices please contact me if you thing I am good for Disney thanks. I want to be an actor and I figured that this is the best way to start off my career. I’m only 12 and I’m trying to start my career, now I hope I get to audition. That’s a good start on what to say, just you need to write more. What website did you see the disney auditions on? There is no specific site that only lists Disney auditions you can submit for online. The Disney Channel and Disney XD hold an annual Disney casting call which happened to be online through an app last time. They do this in early summer usually so the 2016 Disney auditions should be coming up in about 5 or 6 months. Age is 11 years but I look like I’m 15 though. I have auditioned before for Disney Channel and I did a call back. Some people tell me I can sing. It would also be a dream come true if I was famous. My parents always tell me that I’m very dramatic and think I could be a really good actor. I have auditioned for Disney Channel before and got a call back. Cornet Trumpet school taught. Some people tell me I can sing. It would be a dream if you liked me. My parents always tell me that I’m really dramatic and could be a really actor some day. Being “dramatic” doesn’t mean that you’re a talented actor, it just means that you’re probably a drama queen. Hey maybe you aren’t acting material because you have to hide behind a screen to heckle somebody and that is not Disney material so take your business and your attitude elsewhere. Why don’t you just shut your mouth. I can sing for real but every one wants me to go to New York. I live in Rome GA. Do you want me to send a record of me singing? The Disney auditions for 2016 should be coming up in the late spring or summer of 2016. Last year they did it online by way of video auditions. We’ll have to wait and see if Disney does the online actor submissions in 2016. My name is Savannah Drake. Hair Style/ Color:Black Thick Hair(Natural). Every time I watch Disney Channel I say I could do that one day. As my family says I am super Dramatic. I am a 16 year old female who loves being funny and has a great sense of humor. I have been wanting to act ever since a young age. I feel like if you give me the time to show you that I am really talented in my acting and know how to perform, you will not regret it a single bit. If you need my information or want to work with me I’m only a reply away.. I am eleven years old and I want to be on Disney Channel because it’s so fun and I know how to dance. My height is 4’11 and my weight is 85 lbs. Hi, I’m Makayla. I’ve been hoping to be on Disney Channel for a long time, but me and my family don’t live around a popular city. I live in Missouri. Hey I am 14 with brown hair (depending when you read this possibly red tips), blue eyes, and a little short. I do sing and I would love to start my acting soon. I am a western pleasure rider and a barrel racer, so any role involving horses will not be a problem for me. I do church plays and such. I also do what is called Fine Arts Festival for singing and do well at it. I am a 15 year old female who has always wanted to be an actor or model. I have been dancing for 11 years with classical ballet training as well as experienced with hip hop, lyrical, contemporary, modern and jazz dance styles. I have been on competitive teams and know how to perform. Would love to be considered for any role, acting or modeling. If interested reply for contact info. I would LOVE to be on Disney, I’m very good at acting and really hope you take my application under consideration. Hello,I am the one that tell you who got the part and to be honest, you got the part in Disney channel seasons two of Andi Mack, have fun in LA next week? Hi, my name is Brittney. I have modeled since I was 4 years old and I have done many modeling jobs and have just been picked to do 2 EXTREMELY prestigious modeling jobs, one in New York City, and the other in Pennsylvania. I have been on the Lizard Lick reality TV show and also have done lots of pageants. I have appeared on Good Morning America, and I would like a shot to Audition for Disney Channel. I have just finished doing a local Thanksgiving Play. I have been approached by several random strangers that have told me I have a movie star face. I am an optimist and ALWAYS happy. I am very Anti-bully and a HUGE feminist but I also believe that everyone was made equal. I have done gymnastics for SEVARAL years and can do a round-off double back handspring on the ground. I never really had a experience of anything being related to being on T.V., but that’s what I’m trying to accomplish now. I’ve always wanted to be an actor. It makes me happy to act. I can have many personalities. I’m very nice, hardworking and outgoing, I get along with everyone I meet and I refuse to live a normal life. I want to act and be the happiest person ever. Mean either, but I really want to act too! Hi my name is Menna. I am a female who is 10. Ever since I was little I have wanted to go on the set of Disney Channel and hopefully I get to. I am very interactive, funny, caring, brave, courageous, and I love to learn. I haven’t had any experience but I hope to have some soon. Me too! But my parents can’t get me to places because they work full time jobs and I don’t know what else to do to peruse my dreams. I’m 14 years old female. I did church plays and speeches, monologues. I am a high school cheerleader. I’m very spirited, funny, and random. I want the same thing every one else wants, to be on Disney channel. I love to act, its like being a different person. I am a 14 year old young transgender boy and I want to change the world with my acting. I am a hard working teen and would love to be of any help to the Disney industry. Hi I’m Zapphire and I would like to be in Descendants 3. My only dream is to be in a Disney Movie and Descendants 3 is my best bet. I’ve had a lot of downs and I’m looking to lighten up and do what I do best acting. Also my parents approve of me as acting they also say I am a very dramatic person and want me to act. I would really like to be in the industry being in movies. If you considerate don’t hesitate to contact me at anytime. Thank you for your assistance. Hair color chestnut, Eye color brown. 7 years was engaged in ballroom dancing and ballet. Know how to move gracefully in any direction and dance to any music. Open, bold, beautiful, hardworking, sociable, artistic. I had a lot of acting experience. This talented girl wants to acting in film. I want to become famous, but I’m doing this because it’s what I love to do and if I do this I can help out my mom. She is my hero, she works three different jobs every single day. The problem is that she doesn’t have the money to put me in any lessons or classes. What do I do to get prepared for the audition? I am a 12 year old girl. I have been dreaming of an acting career since I was little. I want to become a famous and important person, but I’m doing this because it’s what I love to do and if I do this I can help out my mom. She is my hero, she works three different jobs every single day. The problem is that she doesn’t have the money to put me in any lessons or classes. What do I do to get prepared for the audition. Hi, I am a 9 year old African American girl from Fayetteville, GA. I’m a smart, confident girl with a great lots of humor. I am looking forward to starting my acting career. Oh my gosh. I love you! I been working with the company for years my name is Kenny Ortega. I want to be in descendants 3.
l am Zinzile from Africa. I would love to film in my most favorite show which is the descendants 3. l hope my dream will come true. l am 13 years old. I am a model and I extremely love fashion. Hello! My name is Dayana, and I always dreamed of appearing in Disney Chanel. Talents: Dancing, Singing, Soccer, Fluent Spanish, great at math, very confident. I hope that I can work with Disney! Hey my name Is Carmel, my dream is to be a Disney Channel star. I’m 12 years old and am just starting my career at a summer camp. Really want to be a Disney Channel actress. I am a girl that is 9 years old. I enjoy acting, it is lots of fun and I feel like I fit perfectly fine in Disney. I have been perfectly trained and I can do it if I set my mind to it. I have acted in big crowds and I’m ready for Disney tryouts. I’m always up for a challenge, just give one chance, that’s all I need and I will prove to you that I can act or be an actor. Am a 13 year old girl currently living in south Africa. I really want a Disney audition because I love acting and am very smart. I will really appreciate it if I get an open call. I am 14 years old. 5’8″. Long brown curly hair, green eyes and a huge personality! People say I should be a comedian because I am so funny. I get along with anyone and I am hoping to become an actor. Give me a chance and you wont be disappointed. Looking forward to the call for auditions.